Theresa Masias is a mortgage loan processor with many years of experience in the mortgage industry. She has worked in many different positions in the mortgage industry from Auditing to closing and being Account Manager for a wholesale lender. She truly cares about customer service and wants the best for the client. Theresa is a long time resident of South Florida. She has a degree in Office Systems Technology. Theresa is originally from Peru but has been living in the United States for over 38 years. She specializes in FHA, VA, Conventional and Non-QM loans. She is bilingual and is a key support person within our company. 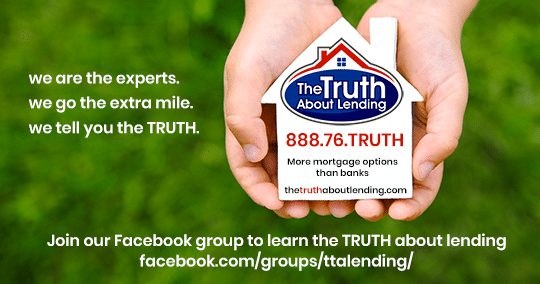 The Truth about Lending offers you more than twenty years of business and financial expertise in order to successfully and expeditiously negotiate your financing needs. Our staff is comprised of a former loss mitigation underwriter, a mortgage company owner, mortgage processors, and licensed active mortgage brokers, all of whom are here for the sole purpose of assisting you and getting your loan successfully completed as quickly as possible. In addition The Truth About Lending has access to many programs that other lenders may not. If you have had a recent bankruptcy, foreclosure or short sale and you want to purchase a house we may have financing options for you. In 2008 when the mortgage industry crashed Melinda and her family went through some difficult times when one of her children was very sick. She ended up having to short sale her own home. She knows how it feels to get a fresh start and it has become her passion to be able to help others. If you have been turned down by other lenders call The Truth About Lending we may have options for you. Call us today at 1-888-76-TRUTH or click apply now to start the loan process. What is an Appraisal for a Home? What is a Schedule E Tax Form? What To Expect When Buying Buying a house is a very tedious process, and you need a reliable team to guide you through this process. There are several benefits to using us, and we will always tell you The Truth About Lending.